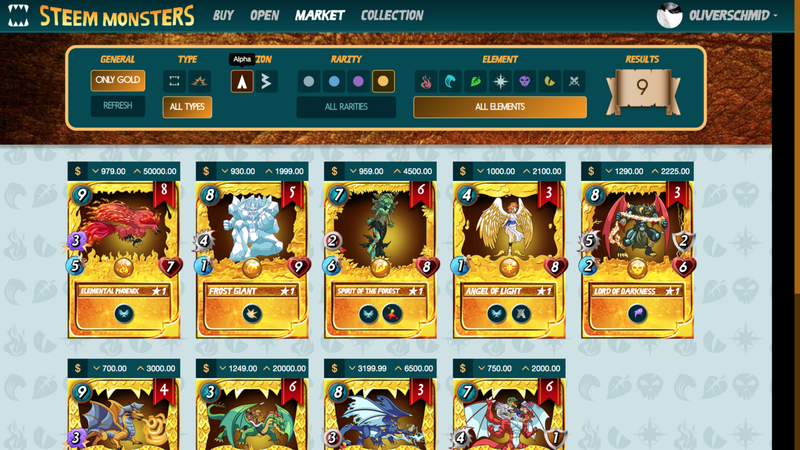 Steem Monsters is a completely decentralized, digital trading card game based on the Steem Blockchain. Steem Monsters was developed by Jesse Reich (Aggroed) and Yabapmatt. Over 600,000 US Dollars were earned from the sale of Alpha Booster Packs alone. The Alpha Series is limited to 300,000 Booster Packs and currently the second series, the so-called Beta Booster Packs, is being sold. The Beta series is limited to 900.000 booster packs. Beta Packs on the website cost 2 US dollars each. There are 5 cards included, at least one of which is “Rare”. The Kickstarter campaign has reached 62,000 US Dollars and another 10,000 US Dollars were raised through Starter Packs, which are a prerequisite for the Blockchain game. Steem Monsters is the hype of the hour on the Steem Blockchain and is actively supported by the local community. The cards are already sold in the Steem Monsters market, which works perfectly. The Steem Blockchain proves to be stable despite the high volume of transactions. The CryptoKitties got the Ethereum Blockchain on their knees, the Steem Monsters have a similar volume and yet the Steem Blockchain doesn’t even begin to snort. Likewise the Steem Blockchain scores with the fees for transactions, which are here exactly 0 (in words: zero). Below is the Steem Monsters Marketplace. Some Gold Foil Legendary Alpha cards are sold at incredibly high prices. Some rare cards have already been sold at high prices. The most expensive sale of a card so far is 3,000 US dollars. This is a golden Selenia Sky and the buyer is @haejin. In total @haejin has bought cards worth almost 20,000 US dollars. The Steem Monsters combat system will be released shortly, and more than 1,500 players are already waiting for it. So it’s worth jumping up now, because Steem Monsters is still in a very early stage of development. The following is a screenshot from the test environment of Steem Monsters. Here you can see the selection of cards. Cards can be merged to level up, i.e. increase their number of XP. However, XP can also be earned by participating in battles. 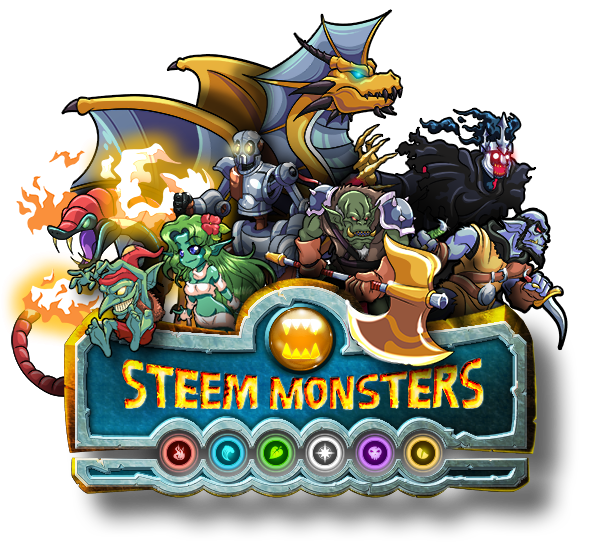 Steem Monsters offers a well-balanced combat system, which should not be a “pay to win” system. The individual cards each offer a comprehensive storyline, which unfolds in the course of the development of the card. This storyline offers text, sound and video material for each individual card! The different elements (fire, water, earth, life, death, dragons) of Splinterland each offer a legendary end boss as opponent. An important point to emphasize is the actual possession of the playing cards, which is made possible by the use of a block chain. 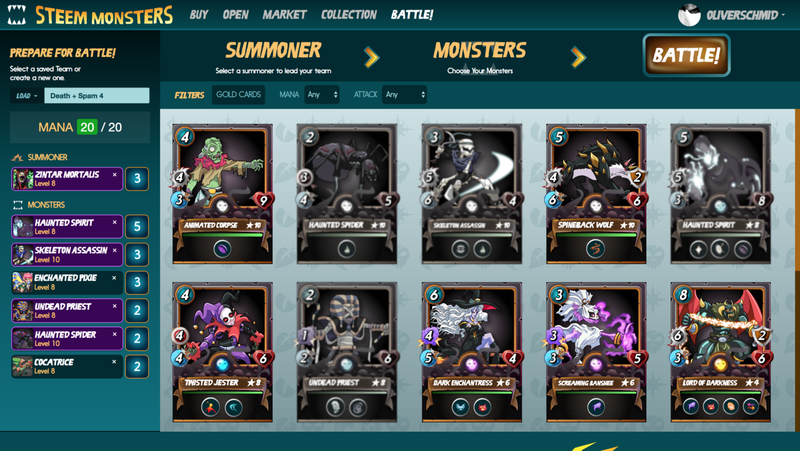 Unlike centrally managed card games, decentralized games like Steem Monsters actually have the cards in their possession, giving the game developer independent control over their own cards. On Steem Monsters Discord you can currently reach over 1,500 other Steem Monsters fans, with whom you can trade, exchange, and have fun! The creation of a Steem Monsters account costs 5 US dollars once. The Starter Pack includes a set of cards with which you can immediately play tournaments. It’s worth it, check out Steem Monsters!